Last week the team met at the secret steep land of Suicide Six. There were questions: Is this a private lair where spies are breed and trained? Is there an elaborate coded password to enter? Is this the Bermuda Triangle of Vermont? None of this turned out to be so, but the mystery is strong with this quiet resort in Woodstock. First the name - the name Suicide Six does not come from some deadly pact to an underground society. The name comes from the duderino "Bunny" Bertram who took great part in founding this hill. 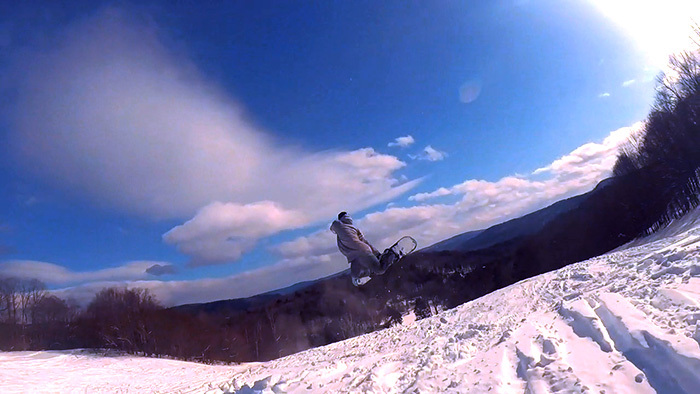 He joked that, because of the steepness, it was suicide to ski down Hill No. 6 - and then he went and installed the first rope tow on Hill No. 6. Well played Bunny - well played. On this day our crew had the radically pitched resort to themselves. Oh, the serenity! They toured round and round - riding all about and finding much enjoyment in the trees. The start of Suicide Six was actually in 1934 with the first rope tow installation in a pasture below Hill No. 6. They used a Ford T model engine. Yuri drove his Ford to this Locals Wednesdaze to honor this event. You can also play golf here in the crying days of summer. 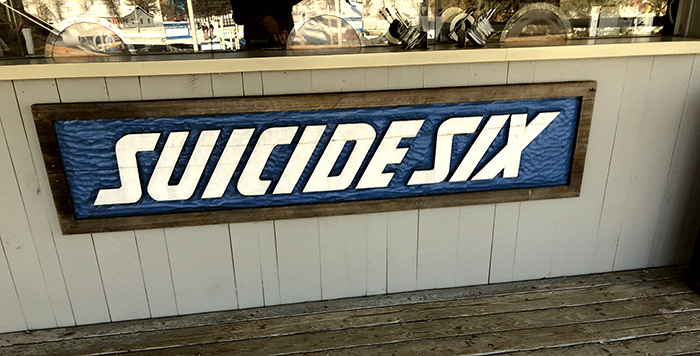 Thank you so much for having us Suicide Six! We will return soon to discover more secrets.